When Chris-Craft made the commitment to change to fiberglass construction, it did so in a big way. 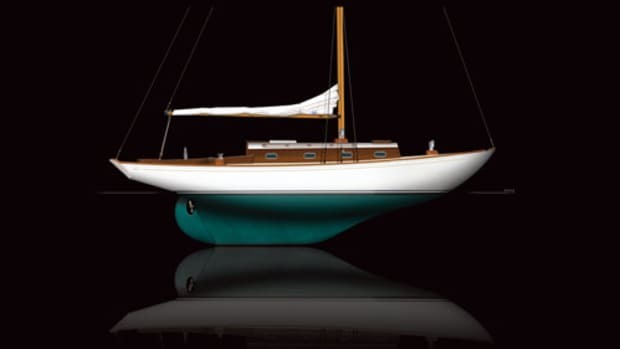 America’s biggest boatbuilder was losing market share in the early 1960s, and fiberglass was the reason. 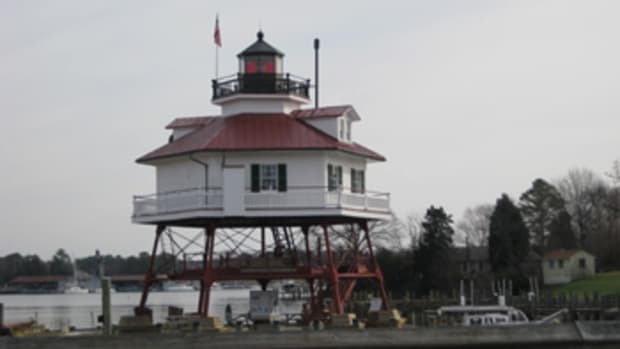 Chris-Craft salesmen continued to preach the virtues of wood while companies such as Hatteras, Bertram, Boston Whaler and Sea Ray were showing off glass boats to an audience that was eager for the flashy new low-maintenance designs. 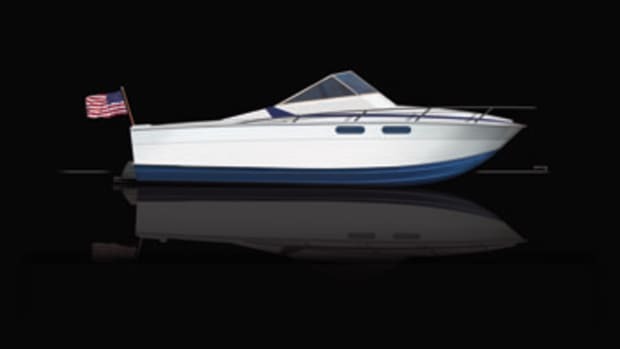 In 1962, Chris-Craft set up a fiberglass R&D center in Pompano, Florida, and a Fiberglass and Tooling Activity Division in Holland, Michigan. The company put longtime designer and engineer Bill Mackerer in charge and work began on a fiberglass cruiser in the strictest secrecy — not even the dealers were told. Shop windows in Holland were sealed, and doors were kept locked. Two years later, the 38-foot Commander express cruiser made its debut — Chris-Craft’s first all-fiberglass inboard cruiser. It was one of the biggest fiberglass boats in production, and it was beautiful, with its gleaming white hull and signature rounded bow. 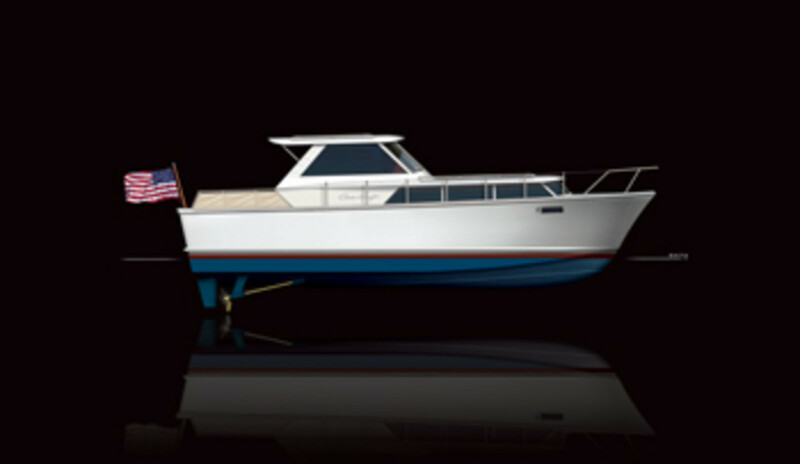 The look was enhanced by the smooth, horizontal lines of the deck, cabin top and pilothouse. 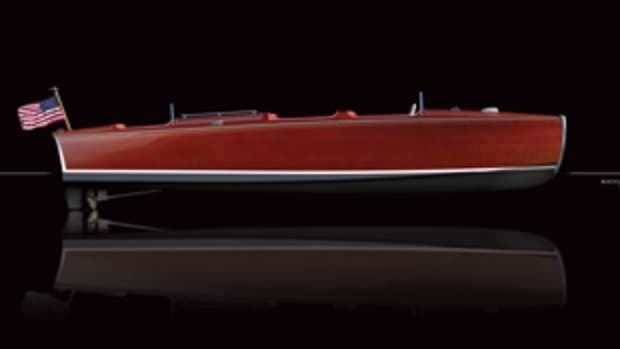 Chris-Craft had entered the modern boatbuilding age. The inch-thick, modified-vee hull was powered by twin 210- or 275-hp V-8 engines for a top speed in the 20s. It carried 200 gallons of fuel and 75 gallons of water; draft was just 3 feet. The new Commander slept six, using the master stateroom, a convertible day sofa and dinette. There were two heads, and the galley had a refrigerator, a three-burner electric range and an oven. 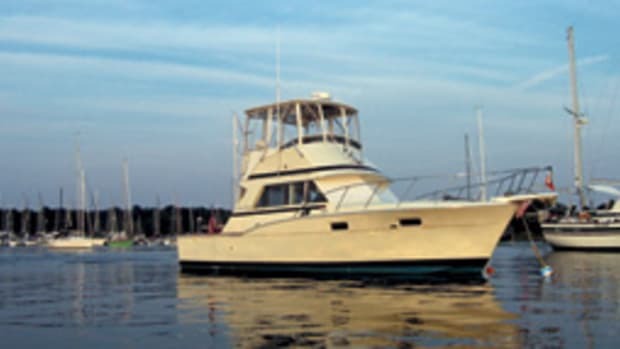 A flybridge was offered as an option. The price: $29,990 with twin 210s, $31,990 with 275s. From 1964 to 1969, 262 Commander 38s were built. 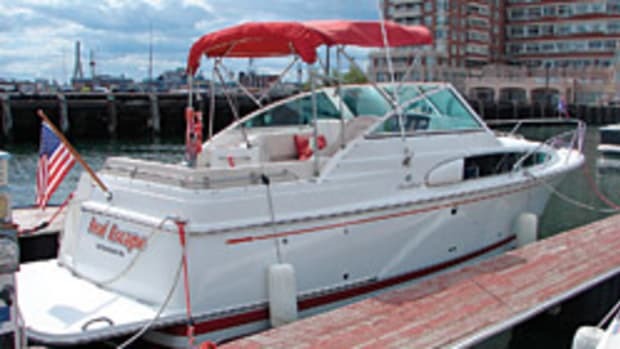 Also offered in sedan and sportfish versions, the boat was redesigned and produced through the mid-1970s. The Commander fleet eventually included a wide variety of models to 60 feet. 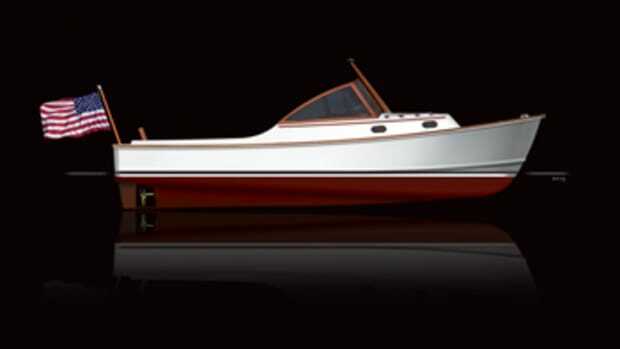 But there was more to it than numbers; the 38 Commander set the stage for Chris-Craft’s next generation, built of fiberglass. 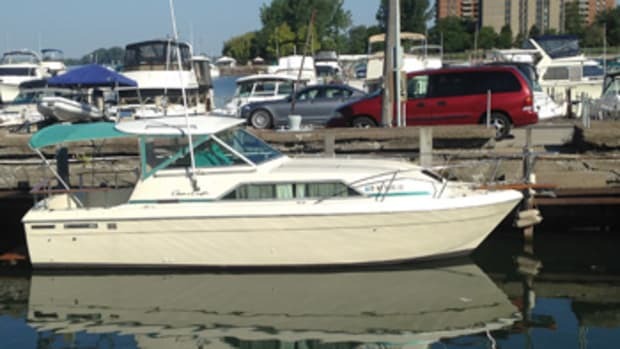 As one owner put it, the 1964 Commander was a “revolutionary boat” that combined classic Chris-Craft lines with modern construction.